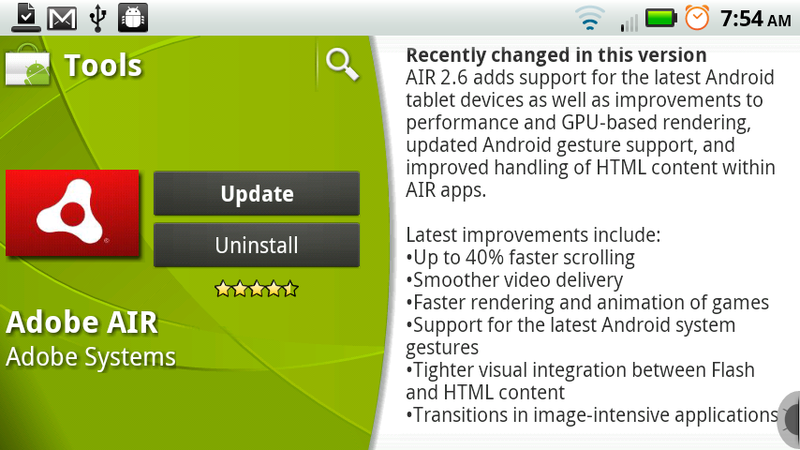 Adobe AIR Update Includes Tablet Support and Better Performance, Where is Flash though? 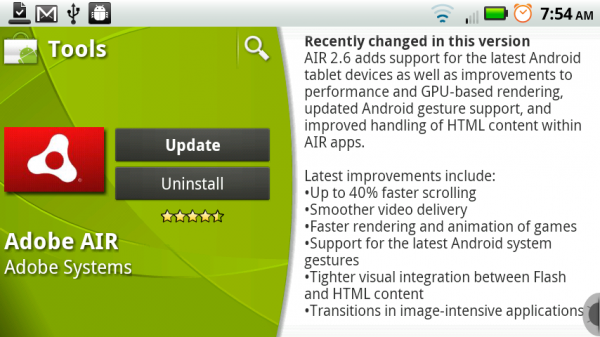 There is a big ol’ Adobe AIR update in the market and it brings the app some much needed tablet support, but also improves overall performance and GPU-based rendering. Sweet, right? The sad thing is, we’re still trying to see where AIR fits into our everyday lives. After being introduced a few months back, I can’t say that I’ve actually used an AIR app since…but maybe that’s just a “me” problem. Oh, and where is the Flash 10.2 download! Let’s do this Adobe!